Here's your chance to walk a mile in stinky troll shoes, and see how the other (evil) half lives! 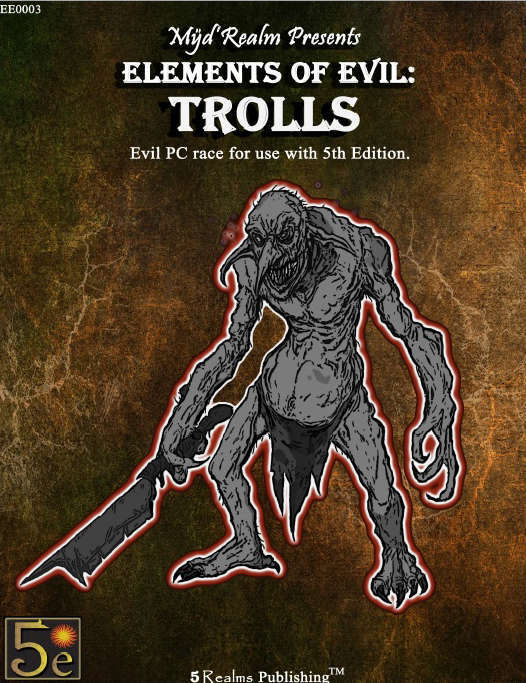 Elements of Evil: Trolls is a race supplement for evil PCs. Compatible with 5th Edition!